If there’s one thing that’s more important than investing in skin care and beauty products and cosmetics, it’s having proper hygiene and taking good care of your body. This is common practice, especially in our tradition—where we are known to bathe at least twice a day. Cleanliness is the first step in achieving good health, flawless skin, and a smooth complexion. However, choosing the right cleansing products can be difficult for a lot of women—especially for those with sensitive skin. Many of these products can be too harsh, and can cause their skin to dry up or get irritated, making them counterproductive. And with the common practice of Filipinas to bathe frequently, usually due to the humid weather and so that they can always feel fresh and confident, it is our job at Glamourbox to ensure that we sift through the best available products globally, while taking into consideration the different skin types of our women. In the upcoming boxes, and now available at the Glamourbox online boutique, Glambabes get a special treat as we introduce Saforelle – a gentle cleansing soap-free and paraben-free formula made in France, that lightly cleans without irritating sensitive skin, and specifically designed by medical experts for daily use. Each bottle cleans, protects, and soothes sensitive skin—including the most intimate areas. With its fresh scent that allows you to feel confident and secure all day, no need to worry at all about getting red, dry, flaky, or irritated skin. You can conveniently keep one inside your handbag, or in your locker at school or work. With Saforelle Gentle Cleansing Care, look your best by feeling fresh and confident any time, anywhere! 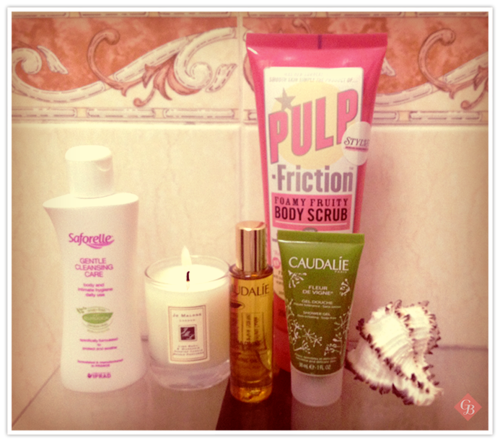 Have you tried Saforelle from your Beauty SOS box?